“We all know enough from past consultations, Budget Reports, Audit Reports, IMF Article IV Consultations and more experientially from our living here, our interacting here that these are among our country’s most challenging financial times,” he said. For a policy of economic stabilization to take place, there must be vigilance in expenditure management, diligence in revenue collection and enhancement and the constant pursuance of economic growth, Dr. Harris said. “We are where we are – with an extremely high public debt – indeed, the highest in our history and an overdraft to be contained. All these are the ‘large shadows in the room’ and must in my view be considered among the principal budget factors, or put another way, limiting factors in the same way that our anticipated revenues are,” Dr. Harris said. We agree with Dr. Harris’ sentiments on the need for recognizing the limitations imposed on spending by the public debt. A good first step would be for Dr. Harris to publish each month a summary of the government’s income and its major expenditures. It would be unrealistic to expect such a document to offer the information as soon as a month ends, but it is reasonable to expect it in a timely fashion; for example, a statement on Feb. 20 showing collections and expenditures for the preceding month of January. The Observer and, in all probability, other media houses would report on the contents of such summaries. This would give the citizens of the Federation a fuller understanding of how government was collecting and spending money. Since the money is, in reality, the property of the people, such an accounting by the government would demonstrate that those elected to office and ministry employees are using the people’s money wisely. Unless some extraordinarily persuasive case can be made for not making such accounting summaries available to the public, it is reasonable to assume those charged with handling it are incompetent, corrupt or both. Simply put: If the government is doing a good job with the public treasury, they should tell everyone about it and gracefully accept the praise. If they are doing a poor job, they should gracefully accept the criticism. Above all, they should make the information available for public consideration. That would be a good way to reduce public skepticism and build public faith. Early this year, the Nevis Island Administration made quite a show about improvements to the government’s Supply Store and how the NIA was working hard to hold down the cost of food and other staples. Now it comes to light that the Supply Store has been out of or running short of some of those staples. The NIA was pleased to proclaim success when the Supply Store was doing well. The NIA was silent when things weren’t going so well. 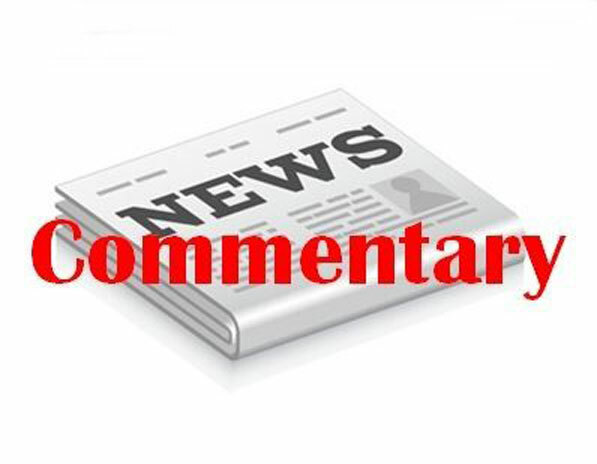 The NIA should respect the people of Nevis enough to share good news and bad news with them. For the government to remain mum with things look rocky is bad precedent that fuels public distrust.